At Sailing-Vacations.et, we are here to provide with the best possible information to ensure you have a magnificent vacation on one of our luxury yacht charters. Please give us as much information possible about your desires and we will do the rest.. We look forward to hearing from you. Call us at Toll Free 800.478.2029, USA Tel. (954) 720-0475 or email us below. 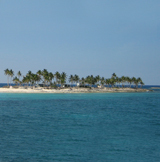 We offer sailing vacations on Power Yachts, sailing Catamaran Charters, sailing Yacht charters in the Caribbean, Bahamas.